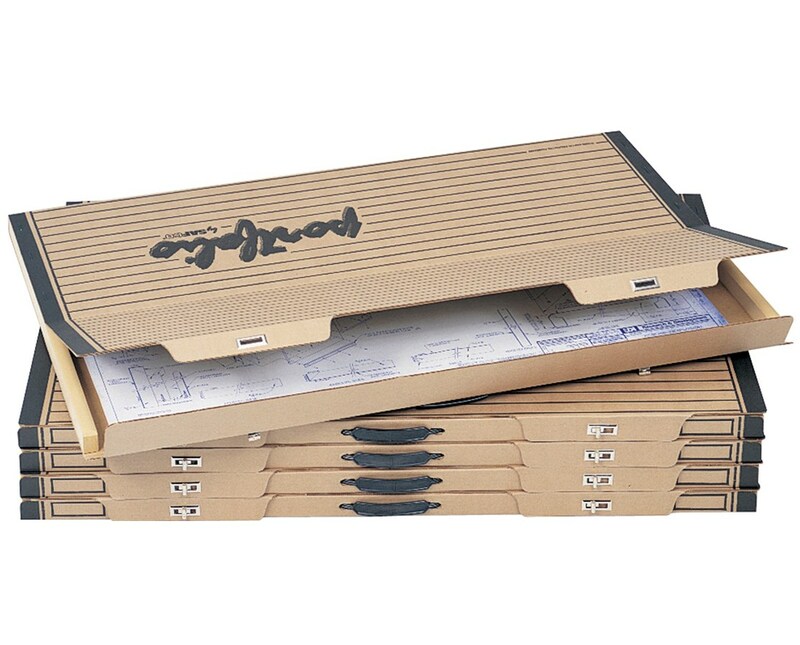 The Safco Art and Drawing Portfolio is a durable and lightweight tool for carrying and storing large files. It can hold up to 50 pounds of files and documents and has two metal turnbuckle closures that secure the top and the bottom of the portfolio. It can also be stacked above each unit for a more organized storage. Carrying it around is made easy with the reinforced plastic handles. 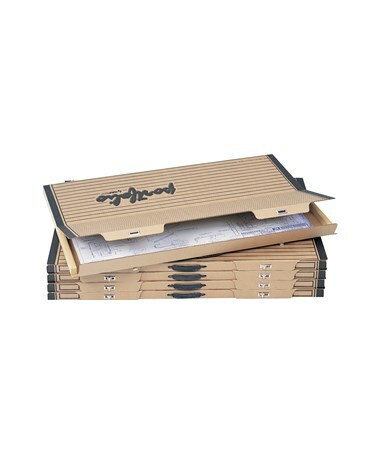 This file holder has a shell made of corrugated fiberboard and a wood frame. It is sold in five units per pack. The Safco Art and Drawing Portfolio is available in two different sizes. Please select your preference from the drop-down menu above.